Welcome to the monthly “Behind the Box” series! Each month I’ll be sharing all about the previous month’s box, a sort of unboxing meets behind the scenes if you will. I’ll show you what was in the box, my thoughts behind the items, the process I went through with select items in regard to design, etc. Today, let’s take a look at the ‘Rebellious Royals’ themed box from December 2018. This box is of course a bit different. It wasn’t a special edition, but the box itself was special just because I felt like switching things up a bit for the holiday / winter season. I knew I had to have a wider box that month to accommodate the book sleeve without it being bent so I took the opportunity to switch up the design for that month only as well. I chose a white ink on craft look, with lots of pretty snowflakes surrounding the logo. My inspiration was iced gingerbread cookies. Amber & Dusk by Lyra Selene struck me right away as a book that would sweep me off my feet, and it did. With a court full or rebellious royals, my theme sprang up and I knew there would be enough content to tap in the YA book world for that theme. Plus, it’s just so fun. Who doesn’t love story about royals who just can’t behave themselves (Reign anyone?). This book is also full of magical, beautiful landscapes, and lyrical prose, so it was a natural choice as a Unicorn Crate feature. It’s always like a giant puzzle figuring out what items to include in each box. I start with inspiration from the theme and ask myself questions like, what items have I not included in several months, or ever? What will the budget allow? What artists would align well with the items I have in mind etc. Things tend to fall into place eventually, but it is not always a smooth journey. In fact, it is often a very rocky one and when working with / depending on so many different artists, makers, manufacturers, suppliers, and also the publishers, it takes quite a bit of time to sort everything out. Rebellious Royals was a phrase that popped into my head when reading the advanced copy of Amber & Dusk and I knew it would make a fun theme as there are SO many rebellious royal characters in YA fantasy. 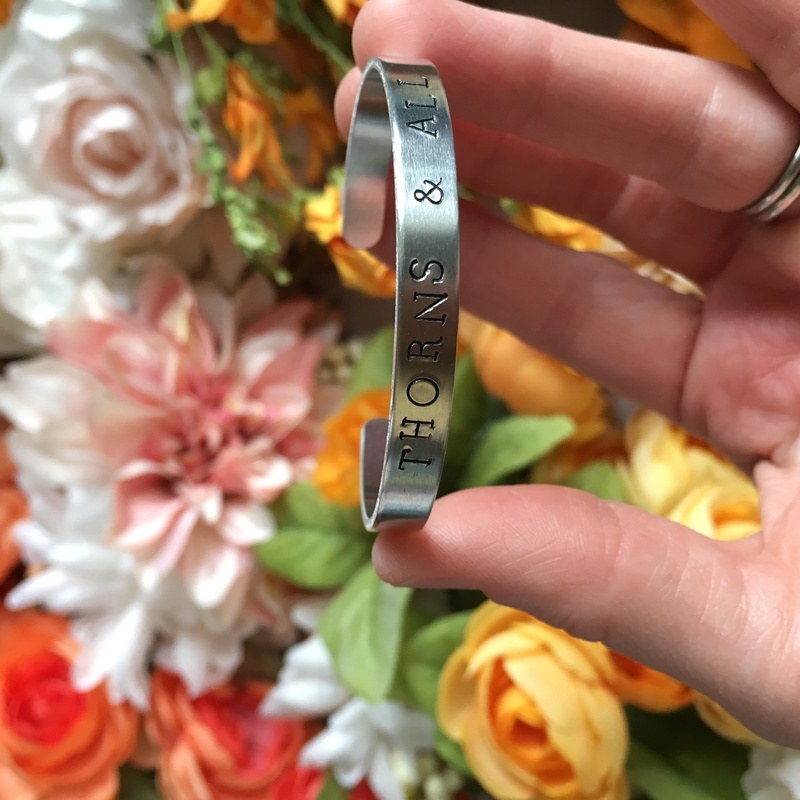 I started with a long list (as I usually do) and narrowed it down to items inspired by Throne of Glass, A Court of Thorns and Roses, ROAR, The Cruel Prince, Everless, and a true classic, Romeo and Juliet. I’ve been a fan of Shakespeare ever since taking an AP class ages ago, in my senior year of high school. 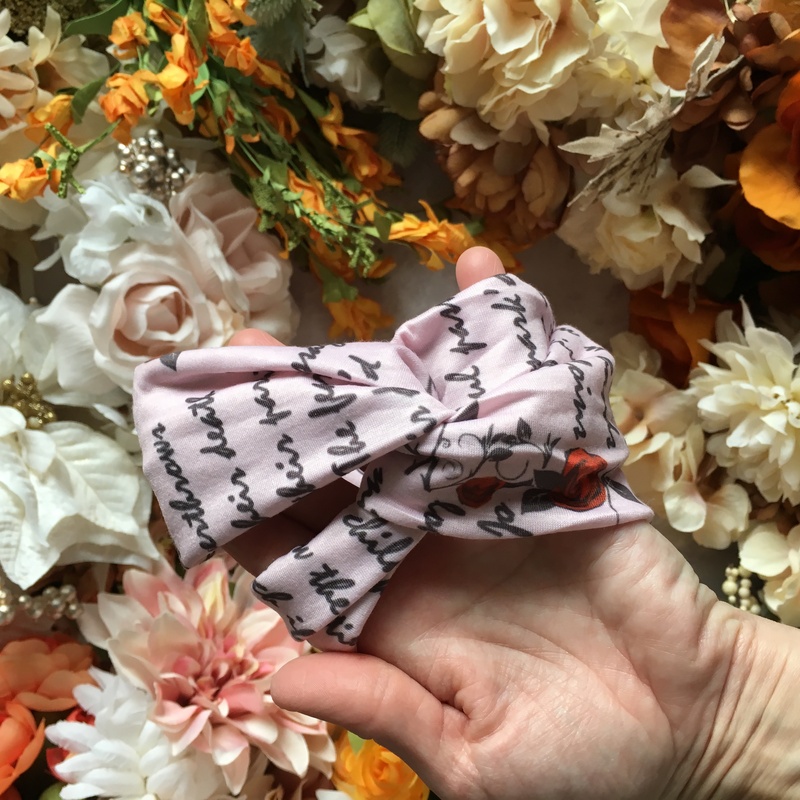 I’d been wanting to create a knotted headband type piece for a while and since Shakespeare’s texts are free to use however you like, I knew I could design it myself, which I’d have to do if it was going to squeeze into the budget. I created the headband design, reached out to various manufacturers overseas and found one that was able to make what I wanted, but with language barriers sometimes it is a bit of a journey to get the final product to match your vision. Three samples later, they finally understood how I wanted it to look. You can see one of the previous samples in the image below, where they placed my design with the text horizontal and much larger than it was supposed to be. By the time they got the placement close to what I wanted (I still intended for the text to be a bit smaller), I hoped and prayed that they would deliver it on time to be included in the box! 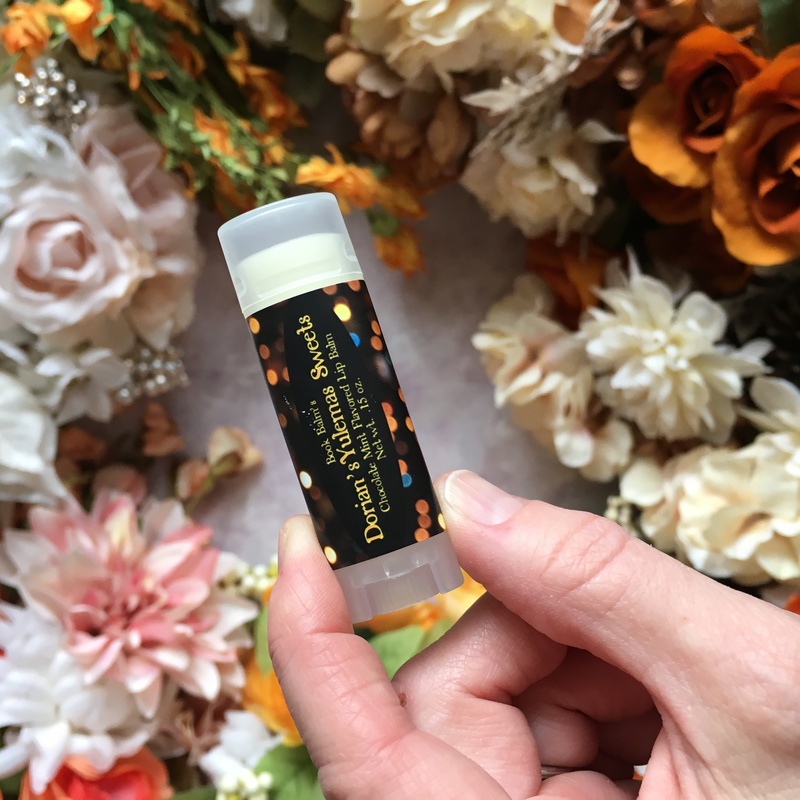 This is the typical stressful process for many items that make their way into your hands via subscription boxes. The text I selected for this design is the prologue from Romeo and Juliet. 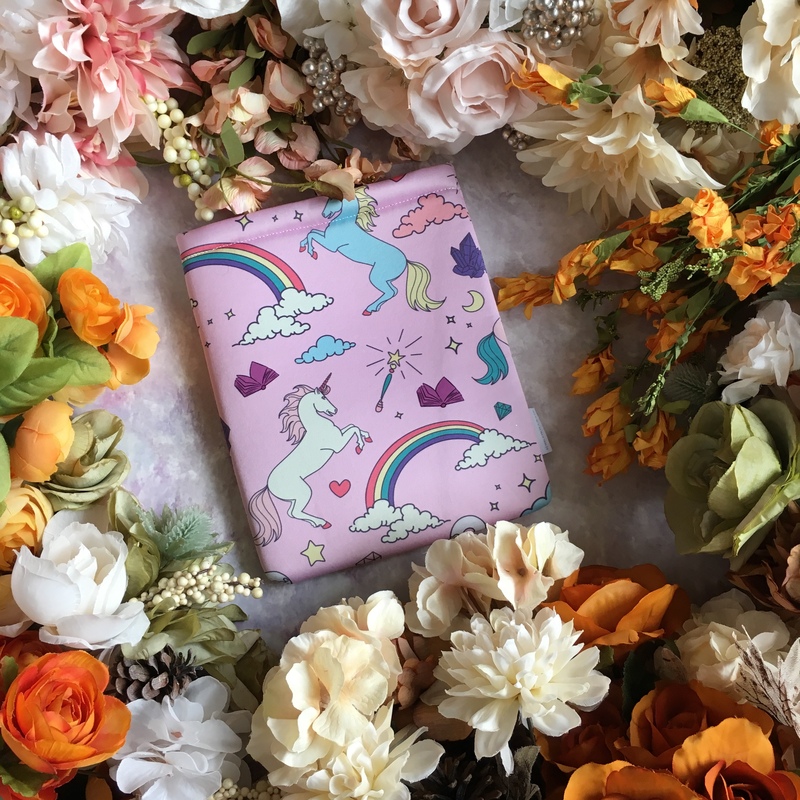 The process of getting the unicorn book sleeves took more than 5 months, so I won’t get into that one here. 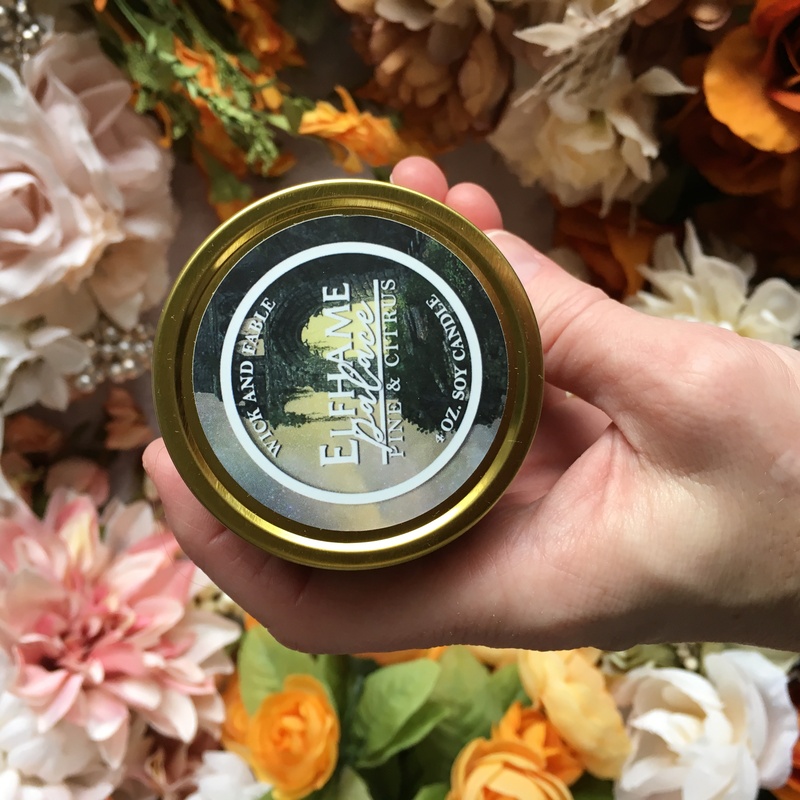 The lip balm (Cedar Chest Press), candles (Wick & Fable), and bracelets (Annie’s Aesthetic) were all collaborations lovingly handmade by small businesses and makers. The zipper pouch and wall tapestry were items that I commissioned custom art for and then sourced manufacturers to get them made. When all is said and done, including the company that makes the boxes themselves, there are about 16 different people involved, including myself, in this box coming together as a final product. 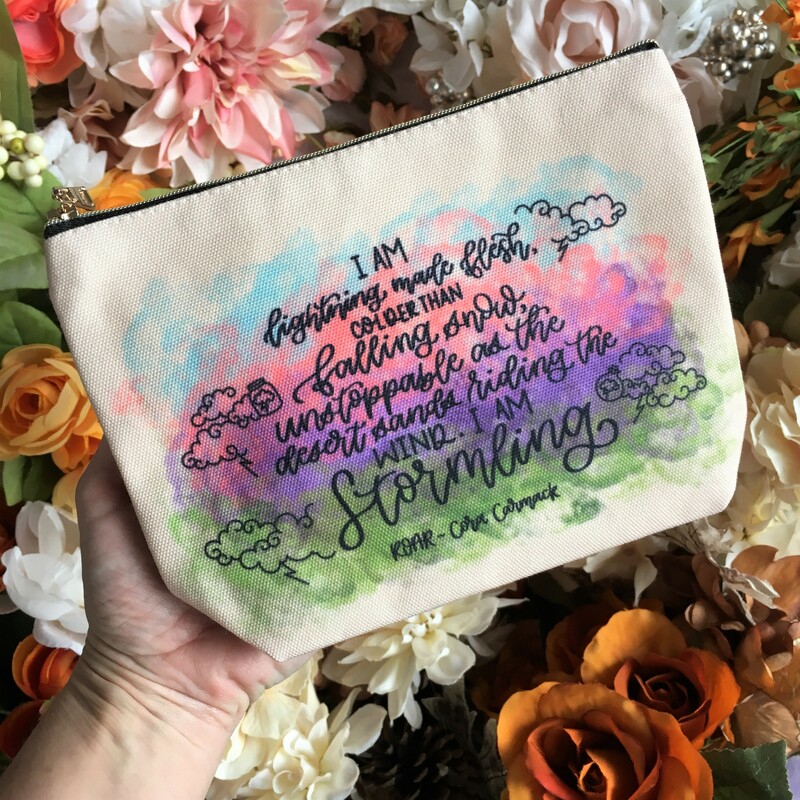 The watercolor quote art from ROAR was done by Nisha Rangdal, a talented artist and design student from India. She was lovely to work with and I love how this one came out! You can check out her lettering at @nisha_letters and her Kpop fanart at @nisharangdal114 on Instagram. For the wall tapestry, I worked with Gina of Dark and Beautiful Art to create something you don’t see much of in the bookish art space (at least not yet), a vision of what Asha and Kozu (from The Last Namsara) might be like. Believe it or not, this was the artist’s first time drawing a dragon (she mostly draws people / fae), but I encouraged her to try it out. I think she did a pretty good job of it! It was my first time getting wall tapestries made, so I had to go through a few prototypes for this one too. The first one was printed so dark you could barely see the artwork! Keep an eye out for artist spotlights and author interviews coming soon from Dark and Beautiful Art (wall tapestry), Annie’s Aesthetic (bracelet), and Lyra Selene (author). As of today, there are a few more December boxes available in the single purchase section, and I just listed the remaining individual leftover goodies from this one such as a handful of headbands, three lip balms, a few candles, zipper pouches, bracelets, and one book (these are sent to me after the fulfillment center is done packing the main batch of monthly boxes, and I ship “goodies orders” from home – though if you order the whole box that ships from the fulfillment warehouse so please order separately).